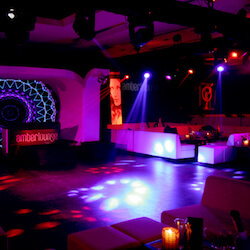 Formula One’s only day to night race takes place at the purpose-built Yas Marina race track, on the Arabian Gulf. It provides a stunning marina backdrop, which comes alive when the sun sets over the glittering waters… Guests are guaranteed an absolutely breath-taking and unforgettable experience. 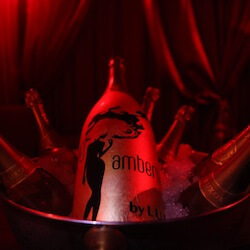 FOR LAST MINUTE VIP PARTY ACCESS TO AMBER LOUNGE, CONTACT US NOW! 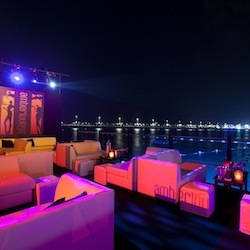 Set in the heart of the Yas Marina, the Amber Lounge venue offers spectacular views on the yachts and a cutting-edge decor with Middle Eastern influences. 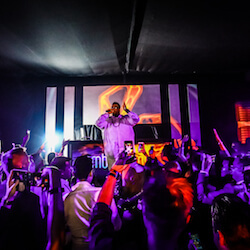 You and your VIP guests will be able to follow the Formula One drivers from the race to the most sought-after dance floor of the Emirates for the closing party of the F1 season.